I’ve reviewed a couple of Jack Foster’s Panerai Straps on PaneraiSource, but now I have a couple of his straps for non-Panerai watches that I’m taking a look at. Hope you guys enjoy the review. Jack Foster is a new strap maker that has only been around for a year or so, from the USA. 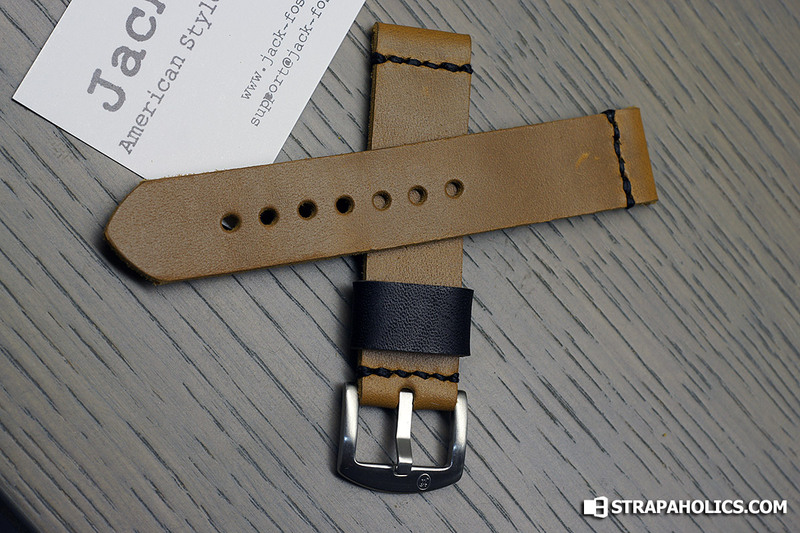 All straps are handmade by Matt Crowder, the owner of the company. 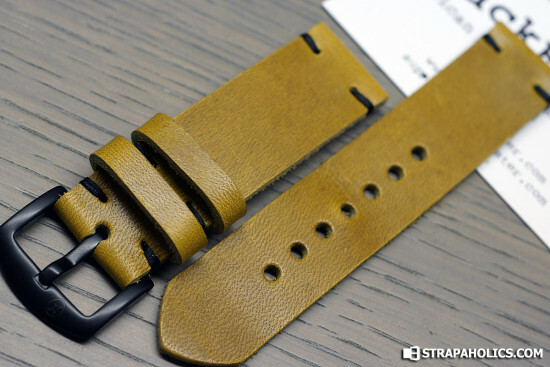 From left to right, the first strap is the Desert Tan Horween Chromexcel strap in 20mm width and the second one is the Goldenrod Horween Chromexcel in 22mm width. 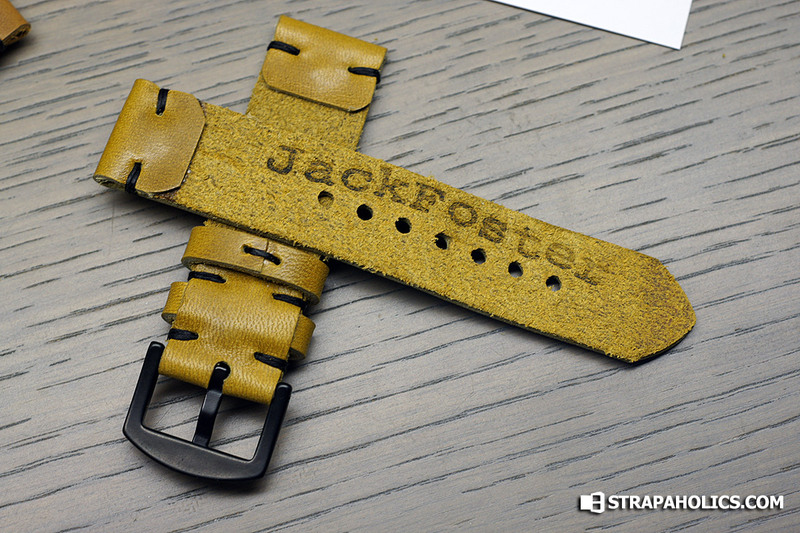 The Desert Tan strap is from their Premium line, and the Goldenrod from the standard line. These straps generally follow a minimalist approach to their designs, and have a distinctly vintage feel to them as well. What appears to distinguish the two lines of straps is the amount of stitching and handiwork required to construct the straps, as both lines use the same premium leathers. 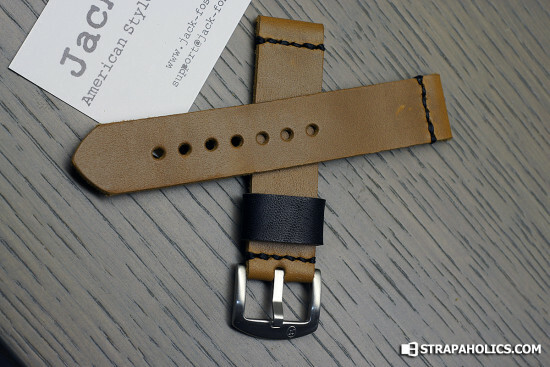 First lets take a look at the desert tan Horween Chromexcel strap from the premium line, featuring a single black floating Black Chromexcel keeper. I like the look of the wider keeper, but I kind of like fixed keepers as well so I guess this is a good compromise if you are going for the single keeper look. But then again I don’t mind a little bit of tail sticking out past the keeper so I could live with a single fixed wide keeper on this. I do like the idea of it being black though, adds a bit of contrast. The stitching is minimal, but is single strip across on all major stress points. The backs of these straps are raw and unfinished, which gives it a style all its own, though I generally like to see a lined back I can understand that it takes time and costs money which also drives up the price of the strap. 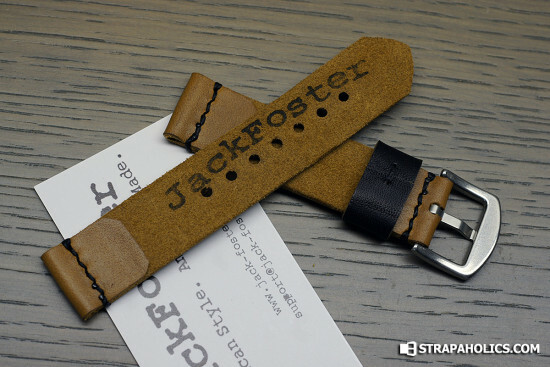 Jack-Foster straps are priced very competitively and unfinished strap backs are I think a good way to keep the costs down for the buyers without sacrificing the quality of the leather. These are 100% American Hand Made straps using Premium American leathers here – and priced at under $50 for many of them! That’s almost unheard of value. I can think of maybe a handful of strapmakers (mostly on Etsy) maybe that are comparable but not the exact same product. Overall the premium strap is solid, and I kind of like the way the stamping is done on the back as well. A superb value at $58USD. Next lets look at a standard line strap that features a bit less stitching. This is the Goldenrod Chromexcel strap, and is from Jack Foster’s standard line, featuring minimal stitching, only at the edges at major stress points. Super simple construction, but prices the strap at only $49USD, which is a very good price. Same as the premium strap above, this one features premium Horween Chromexcel leather, and is unfinished on the back. This one has two keepers, one fixed and one floating, however, which I think gives a slightly more secure fit on the strap. The Goldenrod Chromexcel has fantastic character and great texture. I really love this stuff. The thread is from Main Thread Company, which is also all made in the USA. Everything about these straps is made in the USA, which is kind of a cool thing. The back of the strap is pretty much the same as the premium line strap, showing the exposed underside of the leather and unlined. 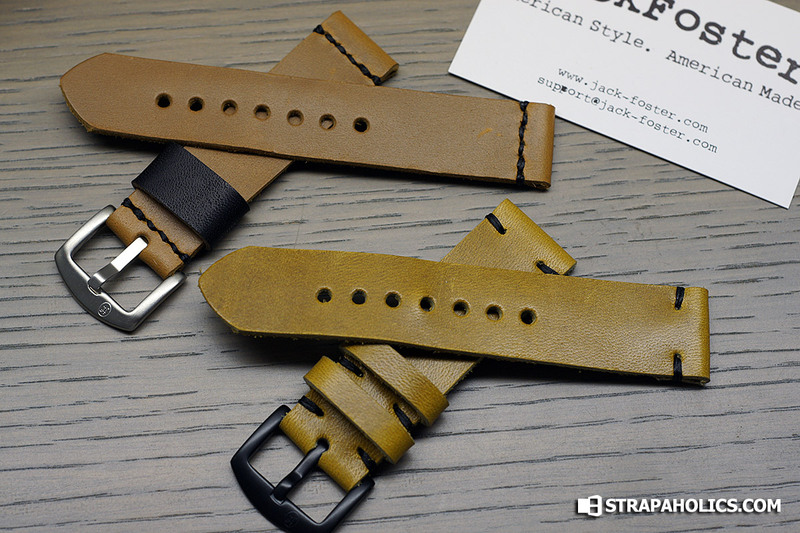 Jack Foster also carries some higher-end premium straps that feature a full foldover construction so that the backs are smoother on the wrist, like the Panerai straps I reviewed, priced at right around $85USD. This adds to the comfort level of the straps, but of course also adds a little bit to the price of the straps as well. But really for $49 I am not going to complain! Great straps for this American Strapmaker, providing some very affordable high-quality leather alternatives for watch collectors. His Panerai line is a very good value and I am excited to see how it expands as this is just the beginning for this new Strapmaker.